In a statement published on her campaign site, Stein said that Americans “want and deserve a comprehensive and independent” probe into the 9/11, which they haven’t gotten so far. — Alex Seitz-Wald (@aseitzwald) 9 сентября 2016 г. ​“The Bush Administration initially said an inquiry was unnecessary, claiming that the perpetrators had been identified and their methods and motives were clear,” she said of the 9/11 Commission study. The report conducted by 9/11 Commission in 2004 that the attacks happened because of the failures by both the FBI and the CIA, which had fallen short of acting wiser and aggressively to prevent the tragedy. Stein said that the paper had scores of “omissions and distortions” that, in fact, worked to whitewash the facts. “The 9/11 Commission was not given enough money, time, or access to relevant classified information,” she stressed. 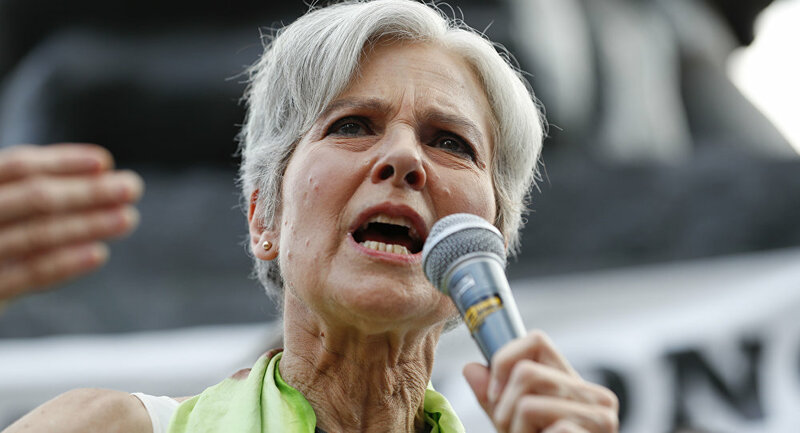 As the elected US president, the Green Party hopeful pledged a renewed push for finding the “truth,” by initiating a probe where investigators “would have access to the considerable body of responsible independent research that has emerged over the last 15 years.” She also said a separate commission on 9/11, consisting of people with no interest “in protecting the reputation and careers of foreign affairs and intelligence communities,” would be gathered. As of now, Stein has a 3.3 percent level of support among electorate, according to the most recent RealClearPolitics poll. The statement appeared in the wake of the legislation allowing victims and families of 9/11 attacks to sue Saudi Arabia for their losses was adopted by the US House of Representatives. The September 11 terror attacks were conducted by al-Qaeda in 2001. The group of perpetrators at the time hijacked four planes, of which two were crashed in the World Trade Center’s buildings, the third in the Pentagon headquarters in Washington and the fourth crashed in a field in rural Pennsylvania. The attacks claimed the lives of 2,996 people.